Welcome to the Bread of Life Training Center, an online ministry school for lay people who want to train for end-time ministry without wasting time or money on unnecessary courses. Take the courses you want––regardless of how busy you are––without breaking the bank. Whether you are a casual learner interested in only a few classes, or a committed leader who wants our full program, we have the Bread of Life to satisfy your need. before the great and dreadful day of the LORD arrives. 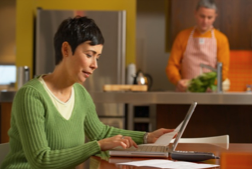 No need to take time off from work, or travel far away from your home and family. Bread of Life offers QuikCourses divided into twelve to fourteen 45-minute pre-recorded sessions. Work at your own pace, viewing the videos as many times as you like and take up to 6 months to complete a course. Your mentor will also give you as much one-on-one attention as it takes to help you master the material, as well as, if you wish, arrange for online remedial classes. You may also request a suspension of studies, should you need one, for up to 3 months. Regardless of how long it takes––you will receive full-credit when you satisfy all the course requirements. Click here for a descriptive brochure. Download an application from this website or phone us for further details. Don’t delay! Get started today! . We at Bread of Life are so excited about equipping others to lead their families, neighbors, and friends to Jesus that we offer a 2 for 1 Incentive Scholarship. Whether you sign up for one or two courses, or go for the whole enchilada and become an ordained minister, you can extend the blessings and benefits of your education to another Christian with an appetite for ministry! We will provide them access to the same course videos, textbooks, and one-on-one attention–for FREE! You can even split the cost of tuition to make it more affordable for both of you! Jesus said, “The harvest is great, but the workers are few” (Matt. 9:37). So what are you waiting for? Go ahead, download the registration form, recruit your study buddy, and start your outreach mission, today! The download button will give you a .pdf file that you must print and fill out manually (requires Acrobat Reader, download it here). If you prefer to fill out and send an electronic Word Document, click here to download it. Get TRAINED and CONSECRATED at Bread of Life! We will equip and empower you to meet every local and spiritual requirement so you can lead a full ministry out of your own home! We recognize graduates through Virtual Home Church, our online fellowship. VHC supplies a letter that will satisfy authorities anywhere in the world to avoid anti-Christian pressure and persecution. Time is running out! Authorities will soon close our church doors, forcing us to work out of our homes. With no more evangelistic meetings, organized events, or knocking on doors, today's skills already are obsolete and useless. 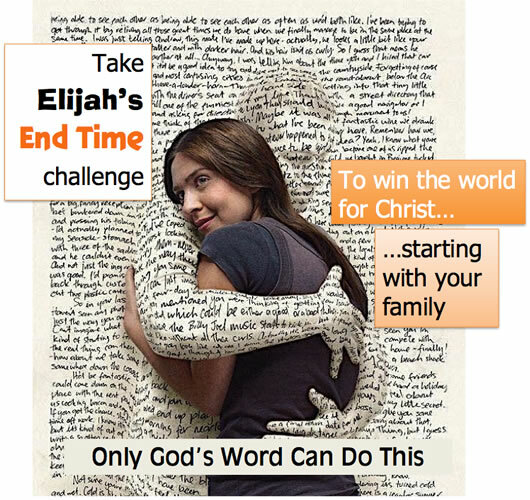 So, we want to equip you with new, end-time skills to finish God's work before it's too late. We offer the most comprehensive curriculum of any lay training school. Pastors have labeled it: seminary in a bottle! $125 for a QuikCourse or $250 for a TwinCourse–covers both tuition and textbooks! There is only one lifetime Application Fee of $50. No Hidden charges! Your instructor, decorated author Dr. Lee Gugliotto, has taught biblical languages, theology, and interpretation at seminary, and has pastored various denominational churches for over 40 years! For MORE reasons, check out the student testimonials on the About Us page. Since students set their own pace, they may apply at any time. Simply download the Application for Complete Program or the Application for Individual Courses (pdf files require Acrobat Reader, get it by clicking here), complete and submit them. Upon notification of your acceptance–– pick, pay for and plunge into your courses. It’s that simple!